Despite the challenges of those years, the students remained devoted to achieving academic excellence. “We did our best to have a triumphant graduation. We always bore in mind that we would be the first students of the University to graduate, and we were determined to do so with dignity.” Anahit proudly shared. During the following academic year, Anahit’s success continued with her research in Labor and Industrial Relations at the University of Illinois in Urbana-Champaign. Upon returning to Armenia, she was offered to lead the HR department of AUA. A year later, she received a Fulbright Scholarship to conduct research on Labor Law and Employment at the University of Michigan and spent three months at the MASCO Corporation. 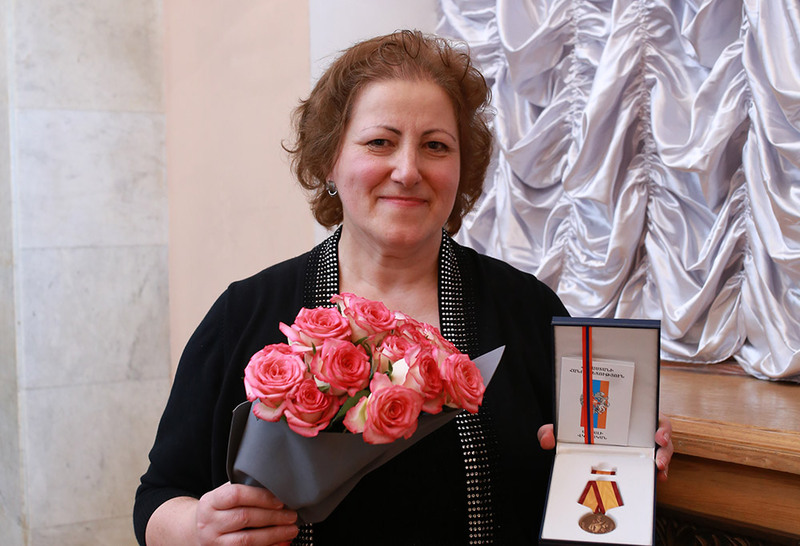 Following the completion of her research in 1996, Anahit was promoted to the position of Deputy Director and later became the Director of Administration at AUA. She provided leadership for many projects including the introduction of new policies in HR Management, commissioning/furnishing of the Paramaz Avedisian Building (PAB), organizing graduation ceremonies and various special events, and streamlining the facility management. In her current position as Assistant Vice President, Anahit has overseen the receiving of grants and their implementation in a number of important university projects, such as replacing the old windows and elevators in the Main Building, renovating the AGBU Papazian Library, refurbishing the computer labs, and constructing the Entrepreneurship and Product Innovation Center (EPIC). Anahit has also helped further the development of alumni relations, as well as promoted international mobility and cooperation. Throughout her years in various key positions, Anahit has demonstrated extraordinary commitment to the University. With all her success, she confesses that AUA is more than a just workplace. “We often plan family events based on the schedule of AUA major events,” she shares. Thanks to Anahit and her classmates, the tradition of giving back to their alma mater was established. The first graduating class’ efforts included donating air-conditioners to the library, contributing to the matching fund for PAB construction, and establishing the Alumni Scholarship Endowment Fund in 2013 on the 20th Anniversary of their graduation. The fund, which has exceeded $100,000 thanks to following classes’ contributions, has already provided scholarships to four students. Moreover, this year was especially notable for Anahit’s graduating class, as the alumni became the first group, to join the AUA Pillars, who pledge to support the University through unrestricted giving that will allow the University to further support its students. 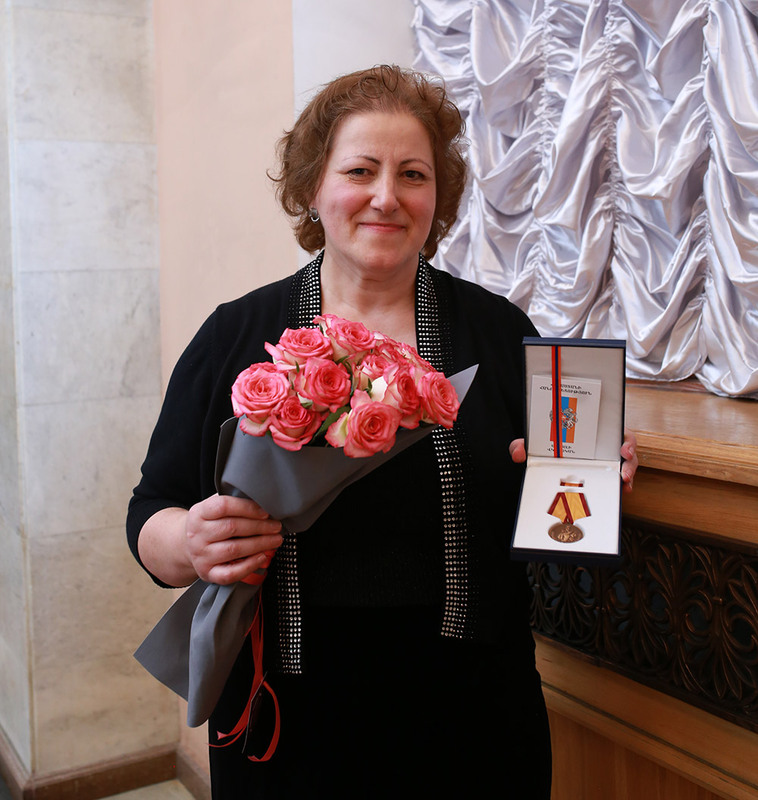 This June, on the 25th Anniversary of the University, Anahit was awarded the honorable Movses Khorenatsi medal by the President of Armenia, Serzh Sargsyan, for her invaluable contribution to the development of the University. “The tangible efforts that AUA invests in the process of educating and preparing professionals is realized for one main purpose: for the development and prosperity of our homeland, Armenia, so that it will become a dream place to live for all Armenians,” Anahit says.